I prosciutti di Levi were born in San Daniele del Friuli, where a delicate balance of humidity and ventilation help to make one of the jewels of Italian food: prosciutto di San Daniele. Levi Gregoris personally selects the Italian pork legs, salts them and matures them using natural methods. It is thanks to his long-standing experience and passion that a unique product can be found in his "bottega", able to satisfy even the most demanding palates. The sweet flavour of Levi hams is reminiscent of the perfume and culture of a land which has cleverly kept in step with modernity, without compromising its own baggage of ancient traditions. Buy now this product together with Lardo di Castellucchio with herbs Levoni ca. 200 gr. Lardo di Castellucchio with herbs Levoni ca. 200 gr. ready for shipment: in 7-10 days Lardo di Castellucchio with herbs Levoni ca. 200 gr. The Coppa Bazza is produced with pork muscle, spiced and salted. This is then stuffed into natural casings. This product which reflects the natural evolution of a good cut of meat. The soppressa is the most important product of our range. Its production is particularly accurate and the selection of the ingredients is perfomed following ancient traditions. 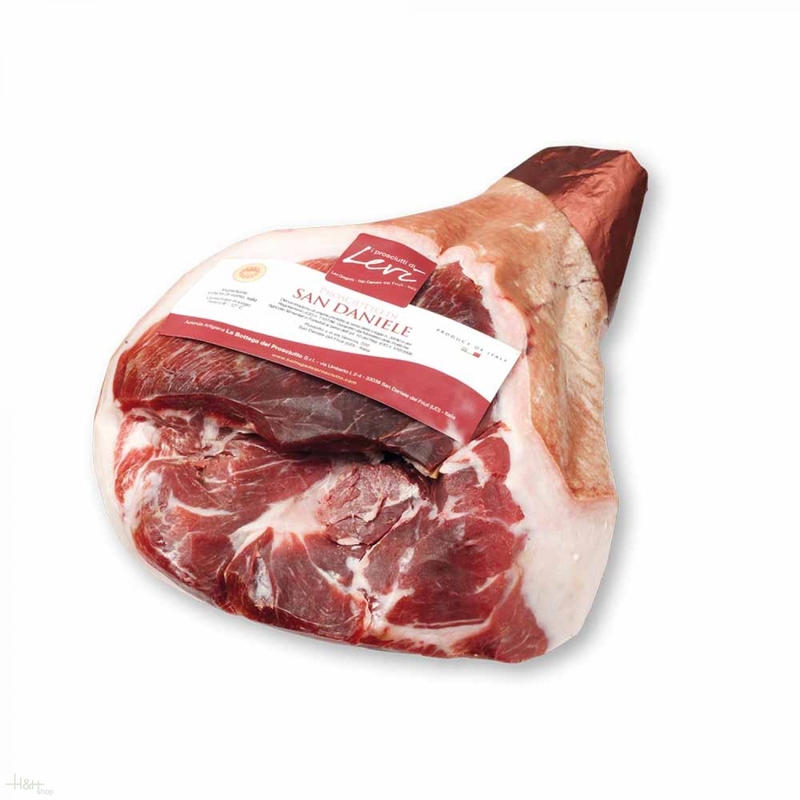 Dry-Cured Ham PDO Parma sliced Levoni ca. 200 gr. 9,45 EUR / 4,73 €/100 gr. Lardo di Castellucchio with herbs Levoni ca. 200 gr. 7,75 EUR / 3,88 €/100 gr. 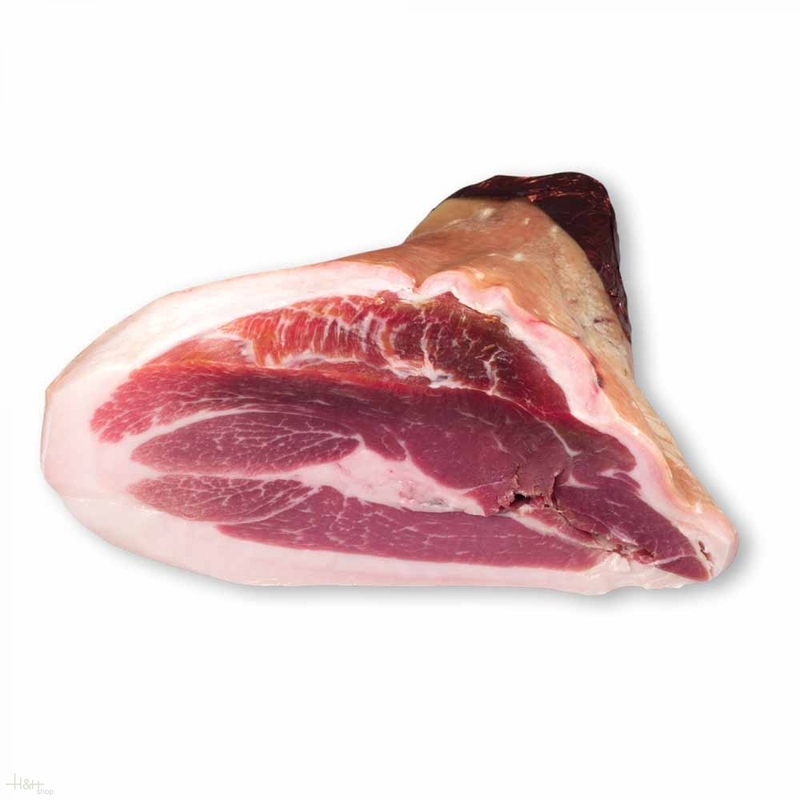 Coppa stagionata di Parma ca. 800 gr. - Casa Modena 25,90 EUR / 3,24 €/100 gr. Prosciutto Crudo PDO Parma deboned approx. 6,5 kg. - Levoni 189,85 EUR / 2,92 €/100 gr. Herbs ham ca. 800 gr. - Breon 23,30 EUR / 2,91 €/100 gr. Prosciutto Crudo San Daniele DOP without bone approx. 7,5 kg - DOK 250,50 EUR / 3,34 €/100 gr.